I have to say I was somewhat nervous about this combination......but after one bite I was convinced! 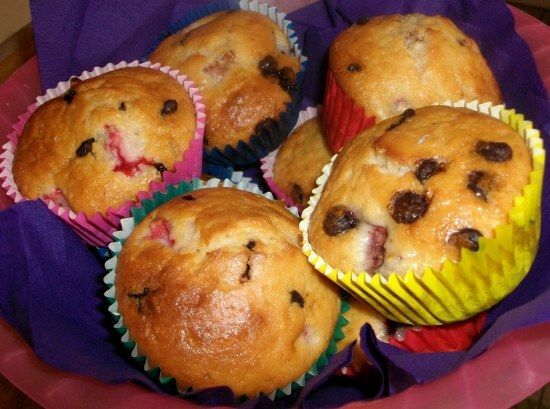 trust me you won't regret baking and of course eating these delicious muffins. pre-heat oven to moderate. prepare 12 hole muffin pan. place flour in a bowl, rub in butter, stir in sugar, buttermilk, cream, egg and choc chips. mix untill just combined, mix in strawberries, don't over mix. divide mix between the prepared muffin holes & cook 20-25 minutes (approx) cool slightly in pan before putting on a wire rack. YUM. 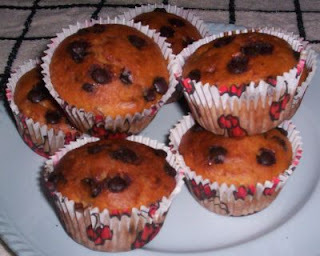 Those muffins look perfect! Love your blog!